Preheat oven to 350° F. Place granola bars in a blender or food processor and process into fine crumbs. 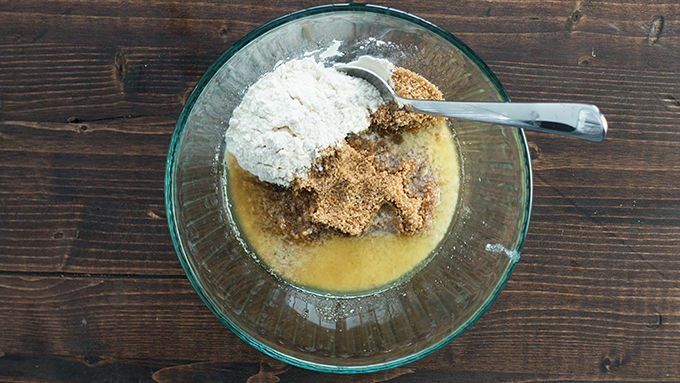 Place half of the crumbs in a medium-sized bowl with the flour, melted butter and brown sugar. Stir to combine. 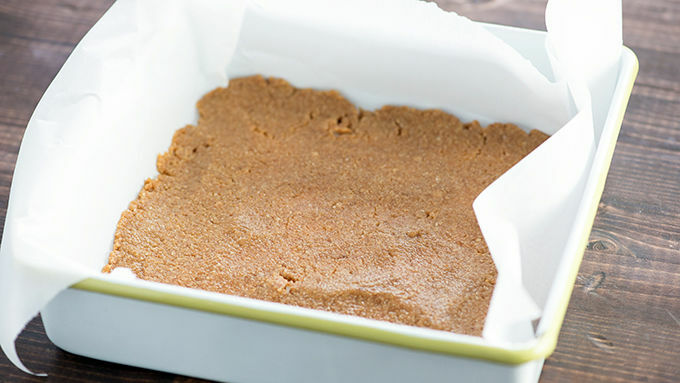 Press crumbs into bottom of a parchment-lined 8 x 8-inch baking dish to form the bottom crust. Bake for 10 minutes. Let cool completely. 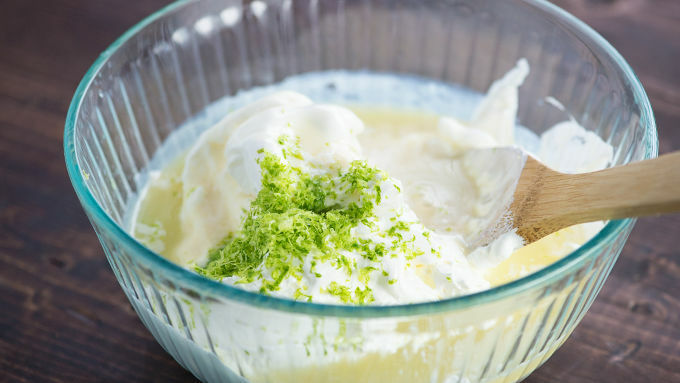 Add the whipped topping, sweetened condensed milk, lime juice and lime zest to a large bowl. Stir well to combine. 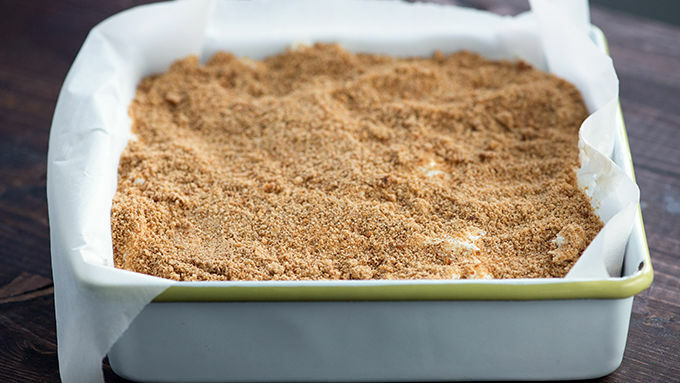 Spread lime mixture over crust and sprinkle remaining granola crumbs over top. 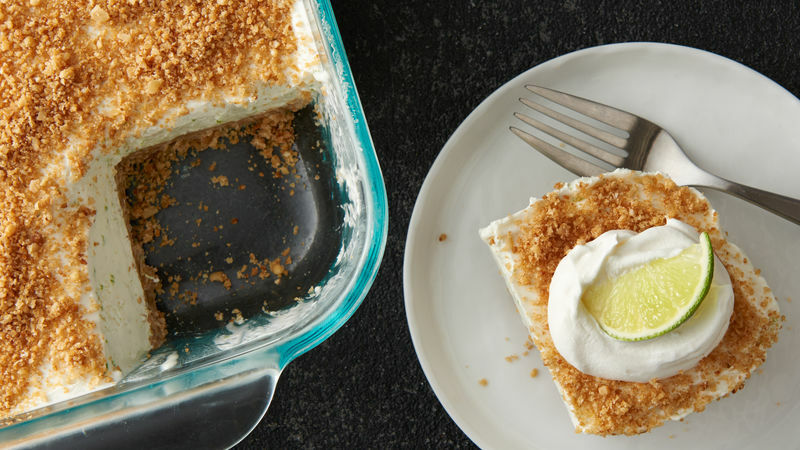 Freeze for 4 hours before slicing and serving with a dollop of whipped cream. Spring is in the air, and with it comes an avalanche of citrus recipes. Why? Because they are so fresh and bright and taste like sunshine. At least, that’s my theory! I love this time of year. For the smell of new growth, the warmth of a hot sun, the sounds of the birds chirping, and the mandatory ice cream fest that happens the second I even think about starting to sweat. 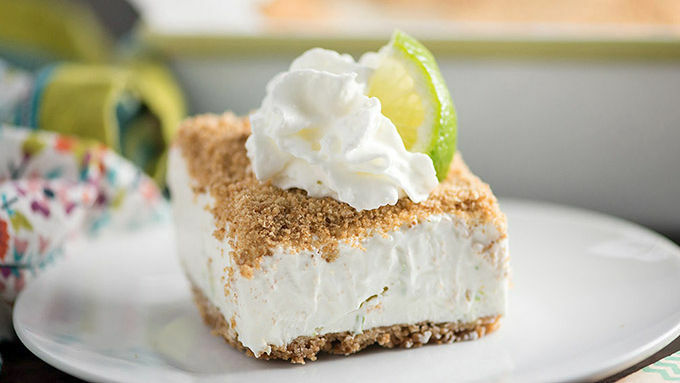 I went ahead and combined key lime pie with frozen ice cream goodness in this simple crunch cake and you are going to love it! I like to serve this with a big ol’ dollop of whipped cream and a little lime wedge.